A study revealed the genetic make-up of people in Spain transformed due to migration from central Europe. DNA evidence shows over 4 centuries migrants traversed the Pyrenees mountain range and replaced the male lineage that existed there. 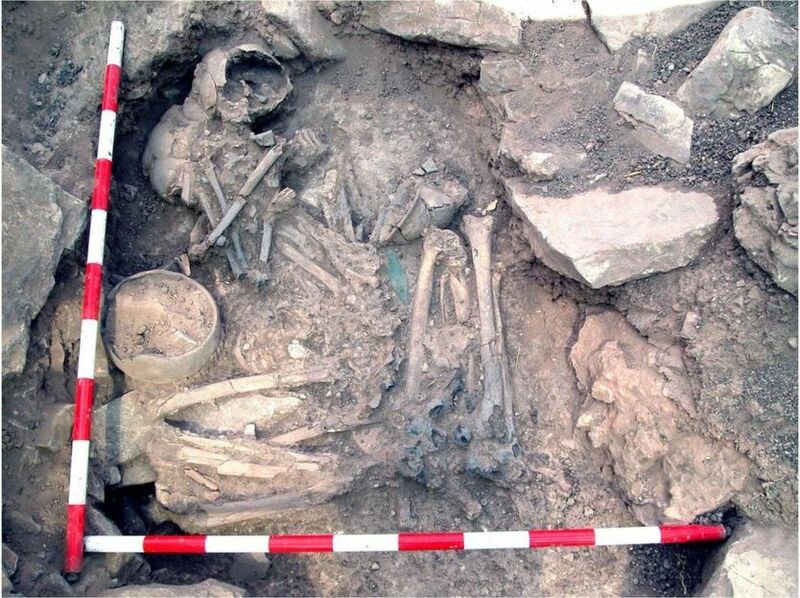 Researchers reproduced a model of Iberia's (Known today as Spain, Portugal, Gibraltar, and Andorra) population history over 8,000 years; the biggest slice of time tackled by a single ancient DNA study. DNA has been traced back to farmers in Europe as well as Russian decent. This area had become a cross roads over time introducing many different ethnic sets of DNA into the population. It is unknown if the disappearance of the male DNA of Iberia was due to violence, not greatly supported, or a social construct that venerated visiting men; promoting their success of reproducing with Iberian females. The Y-chromosome was traced back in order to determine which time period did the Iberian Y-chromosome begin to disappear. Labels: "DNA", "genome", "Inheritance", "Migration"